Depending on who you ask, last time we saw Jason Voorhees, the machete-wielding monster was either lost in space or busy fighting Freddy Krueger. 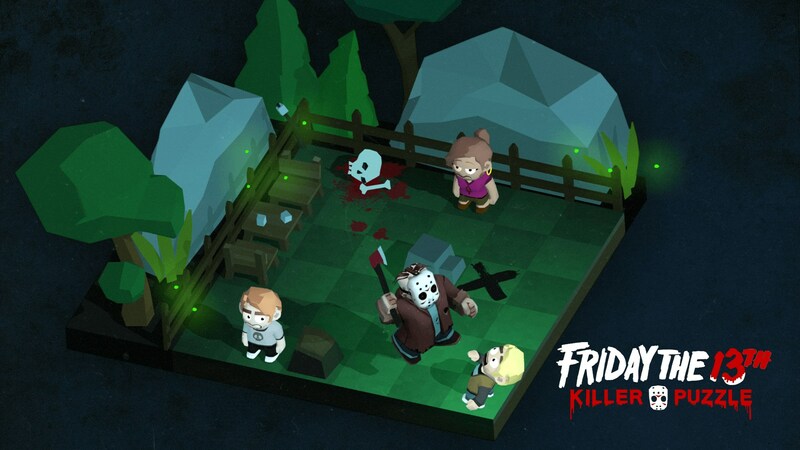 Not that it matters in terms of Friday the 13th: Killer Puzzle though, as the only thing this upcoming Slayaway Camp spin-off has in common with the movies is Jason (and his ability to perform the goriest of murders). Which is probably a good thing as continuity can be a you-know-what, and this game isn’t about story anyways, so much as… well, killing people. Seeing how you play as Jason himself in this one, that’s hardly going to surprise anyone. Even less so for those familiar with Slayaway Camp (my review), as the two games do share an uncanny resemblance; both in terms of aesthetics, but also gameplaywise, what with their puzzle-centric slide-to-kill focus and all. That said, seeing how much fun it was to figure out which path to take in each bite-sized level of the original, there’s honestly little standing in the way of this one providing yet another thrilling virtual killing spree. Doesn’t exactly hurt that Blue Wizard Digital managed to acquire the rights to one of horror’s most iconic characters either. A deal that should result in fans finally getting a proper good Friday the 13th video game, hockey mask and all. Oh, and it’ll be a ‘”Free to Slay” title with optional purchases’, which hopefully means… Über Jason skin? Long live Spac– Über Jason! Friday the 13th: Killer Puzzle will be out on Android and iOS, come Q1, 2018.